Over the past 2 years, Product Hunt has hosted over 550 community LIVE Chats with remarkable founders, investors, and best-selling authors like Tim Ferriss, Ben Horowitz, Jessica Livingston, and Jack Dorsey. 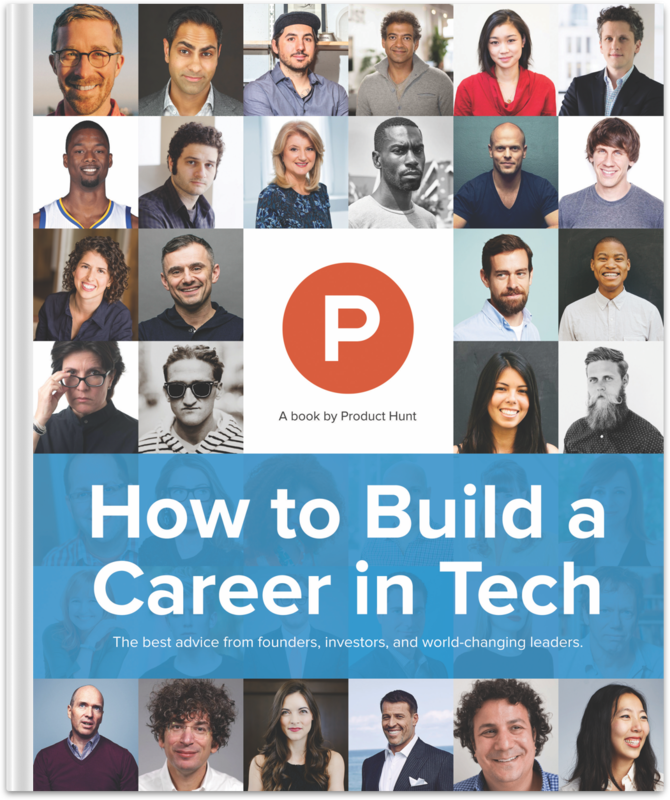 In our new book, How to Build a Career in Tech, we bring you the best advice, categorized to save you time. It's over 100 pages, and 100% free. We highlight the best insights on hiring, mentorship, overcoming challenges, and the best and worst advice guests have ever received. The book is over 100 pages, with quotes, visuals, and sections highlighting the most important questions startup founders and employees face in the tech industry. 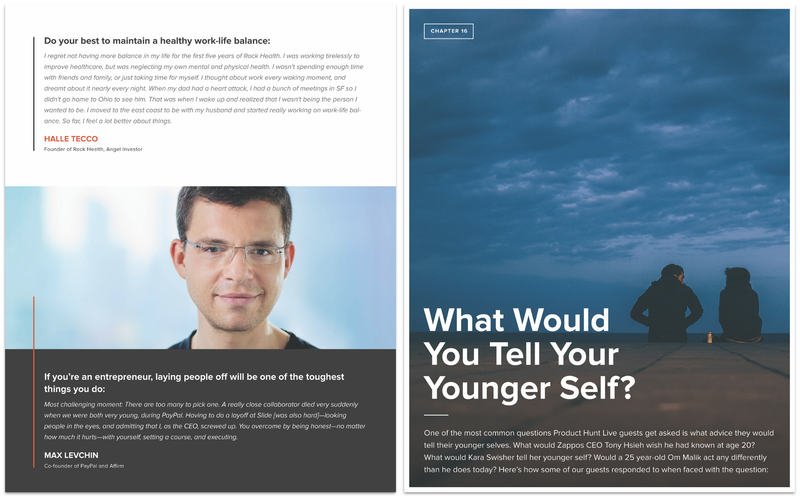 Download How to Build a Career in Tech for Free. The world's best startups are hiring on AngelList.